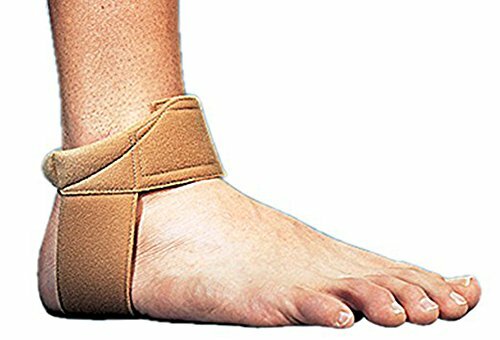 The Cho-Pat Achilles Tendon Strap applies adjustable pressure & consistent support to reduce stress & alleviate the pain & discomfort of Achilles Tendonitis / Tendinitis. Available in multiple sizes for a more specific fit & more effective results. Achilles Tendonitis is a common ailment of individuals in running & jumping sports such as football, basketball, volleyball, soccer, & track. Symptoms consist of pain & possible swelling of the Achilles Tendon, combined with a decreased ability to perform that may be related to overstraining or the lack of proper conditioning of the tendon. May provide effective relief from pain & discomfort when used in conjunction with other forms of therapy, such as ice & stretching. Decreases the tensile forces placed upon the Achilles Tendon resulting from a muscular contraction. The strap also promotes an early heel rise, which helps to reduce the stress placed on the tendon. Measure circumference at widest portion of ankle. If you are between sizes, we suggest you order the smaller size.